A passenger has intentionally gone overboard from the Golden Princess cruise ship, which is based out of Melbourne, Australia. Due to the timeframe for surviving at sea and the time he went into the water, there is no reasonable way he could have survived. The 22-year-old man from Cranbourne in Australia intentionally went overboard the Golden Princess cruise ship while it was sailing from New Zealand back to its homeport in Australia. “CCTV footage has been reviewed and after viewing it we have sadly concluded that the guest has intentionally gone overboard from the ship. 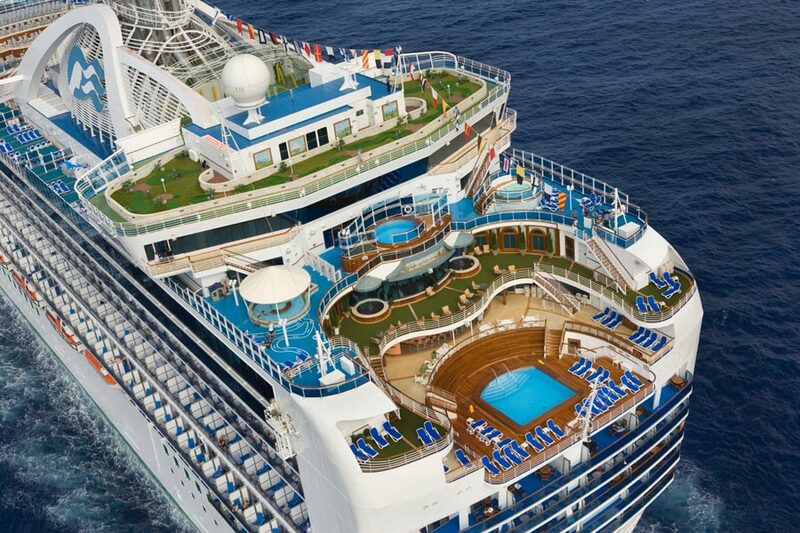 The crew onboard the Princess Cruises-operated ship did an extensive search for the missing man. All areas of the ship were checked, including cabins and public spaces. Announcements were also made over the public address system but the passenger still didn’t turn up. After checking the ship’s CCTV footage, the passenger was eventually seen going overboard intentionally in the early hours of Monday morning. As significant time had already passed and there was no way anyone could survive so long in the water, it is believed he has passed away. Princess Cruises is providing care to his family and our thoughts go out to them too, along with friends. Also Read: What Happens During a Cruise Ship Overboard Alarm? The vessel was sailing back towards Melbourne, Australia and is still doing so at this time. Golden Princess will complete a 13-night New Zealand cruise tomorrow, January 23. The ship is 108,870 gross tons and has a guest capacity of over 2,600. We last posted about an overboard incident when a crew member was missing from Royal Caribbean’s Harmony of the Seas at the end of December 2018. The search for him was sadly suspended, you can read about it here.